Running out of clever introductions here so I thought I'd get right to the point. 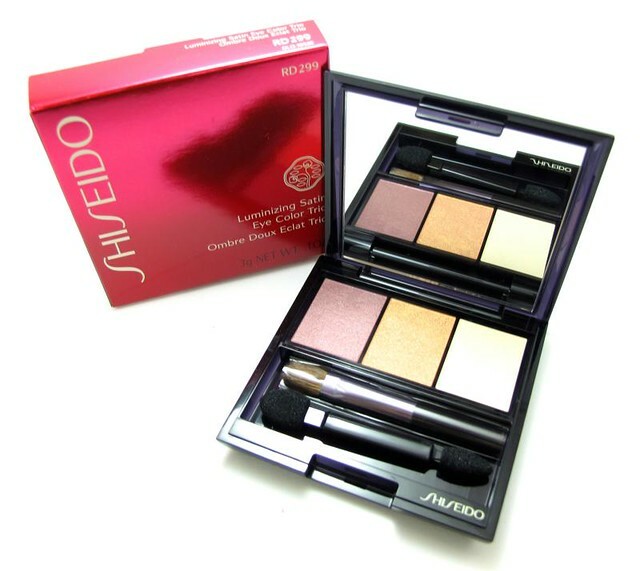 :P Today I want to talk about a few Shiseido stuff I received a couple of months ago. They are expensive, true, but if you don't mind then they are definitely worth the splurge. 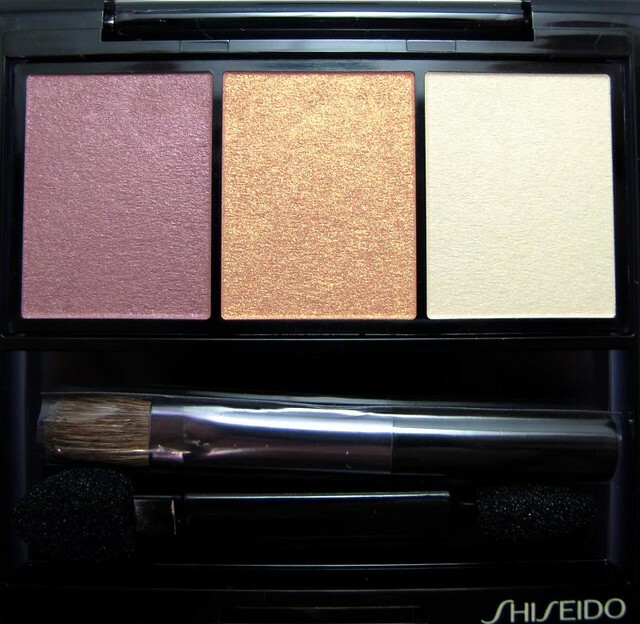 When I first saw the Shiseido Luminizing Satin Eye Color Trio in RD299 I thought, boring. Gold, violet, and white? Surely there are more interesting, exciting combinations out there! But I should know that it's not smart to judge an eyeshadow palette by how it looks in the pan. I guess I better show you! Absolutely lovely, yes? The violet is a dainty, slightly plummy shade with very fine red shimmer that you can see at a certain angle. 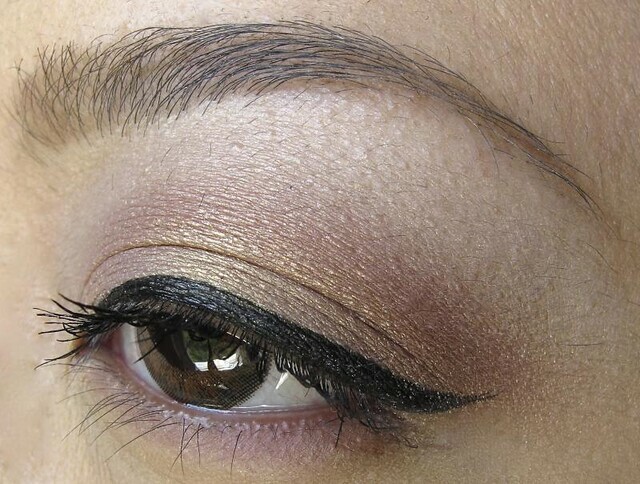 The gold is a duochrome that reflects a sort of pinky gold in the light. 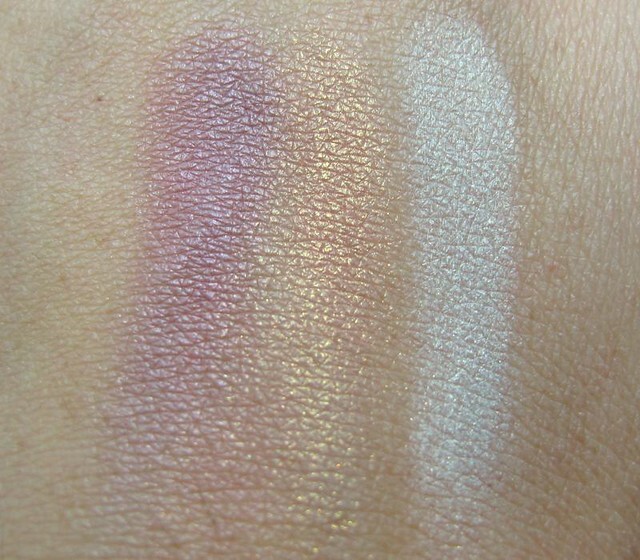 The last shade has a matte base with very subtle golden shimmer - a sort of white gold if you may! It might not look it straight away, but RD299 has complicated colors that you won't easily find in other brands. 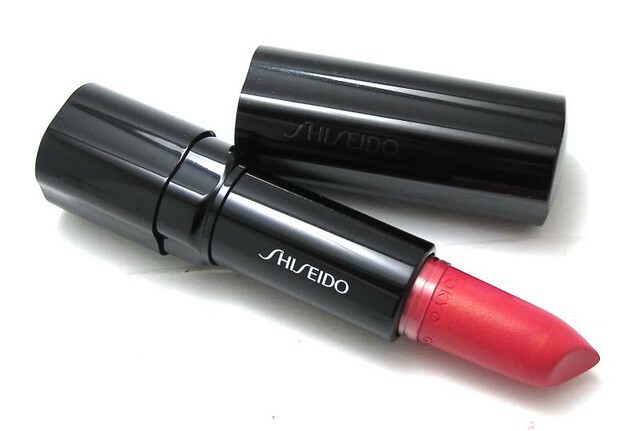 Next up, the Shiseido Perfect Rouge Lipstick in PK417. 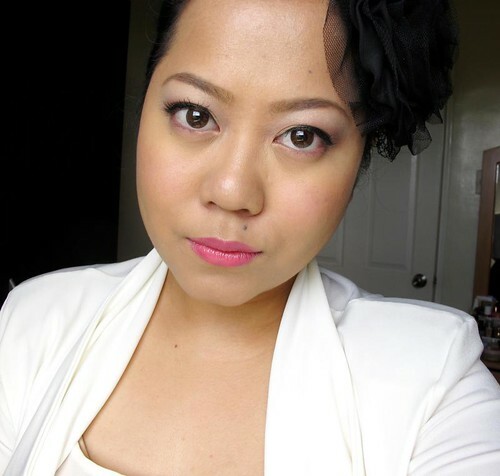 This is a glossy, bubbly pink that's just beautiful on my skintone. The texture feels just like melted butter, so much that you won't need to wear a lip balm anymore. It's also truly tasteless and odorless so that's a plus for the sensitive gal. 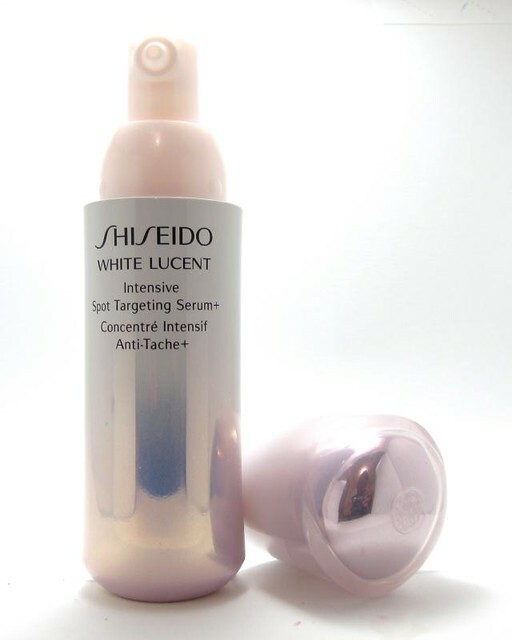 Last but not the least, check out the Shiseido White Lucent Intensive Spot Whitening Serum. Okay, I have to be honest, this didn't suit me. I got pimples while using it only a couple of times. This is supposed to brighten skin and to erase blemishes by "crushing" the melanin from within - these are the cells that cause discoloration in the first place. The promise is clearer, more even skin within seven days. Light and non-greasy, this serum can actually double-time as a moisturizer and primer. While this didn't work for me, don't let that deter you. Other beauty bloggers absolutely swear this stuff! I know Brigitte already repurchased a bottle. Marge of Kikay Trekkie is also a fan. :) So yes, I think it works judging by their testimonials. If you're hiyang then you're lucky! Try to score a sample from Shiseido if you can, or from Sample Room if they happen to have another round of this. And that's the dish on what's new at Shiseido. ;) What do you think?